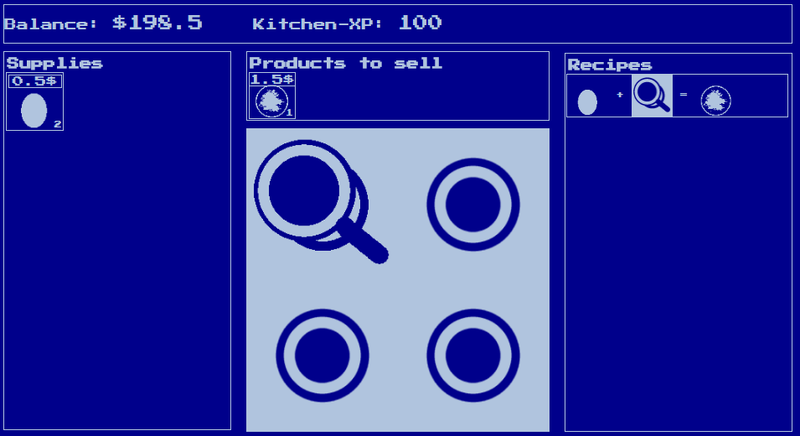 Welcome to Kitchen Clicker, where you have your own little kitchen and try to gain money and experience while cooking and selling your meals. Buy ingredients and drag them to your cookware. Once they're all done you can sell them. 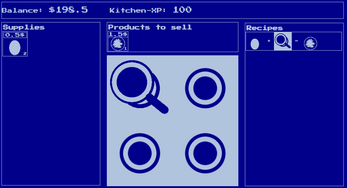 Gain experience to unlock more recipes. The game was made during 1-Bit Clicker Jam in April 2017.